The 19th annual News 95.5 & AM750 WSB Care-a-Thon will air live beginning at 5 a.m. Thursday, July 25, finish on Friday, July 26 at 6 p.m. and will feature stories of hope and inspiration from the Aflac Cancer and Blood Disorders Center of Children's Healthcare of Atlanta patients, families and staff from throughout Georgia. Donations made to the WSB Care-a-Thon will help fund family support services, research and the Fellowship Program at the Aflac Cancer and Blood Disorders Center. With the help of WSB hosts Scott Slade, Clark Howard, Herman Cain, Neal Boortz, Erick Erickson, Eric Von Haessler, Mark Arum and the WSB team, the annual Care-a-Thon has raised more than $22 million for the Aflac Cancer and Blood Disorders Center. Over the past 19 years, the WSB Care-a-Thon has supported the growth of the Aflac Cancer and Blood Disorders Center Family Support Team and Fellowship Program. Teachers who keep patients up to speed with their classwork so that they do not fall behind while undergoing treatment. Chaplains who provide spiritual support for patient families, especially during challenging times, such as diagnosis or relapse of disease and end-of-life care. Social workers who link patients and families with community resources, as well as advocate for their emotional and physical needs during a diagnosis and treatment. Music therapists who use music to connect with patients in a therapeutic way. 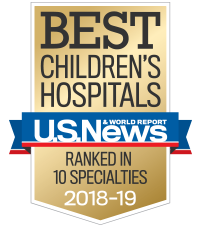 Additionally, the Aflac Cancer and Blood Disorders Center has grown to be one of the largest pediatric hematology/oncology fellowship programs in the country. We offer three-year fellowships in collaboration with Emory University School of Medicine to qualified, promising physicians. Our fellowship program is the premier program in the Southeast, accepting five new fellows each year. We rely on donor support to educate and inform the medical innovators and leaders of tomorrow. If you are interested in volunteering at the WSB Care-a-Thon, email Sara Venker. Live broadcast begins at 5 a.m. on Thursday and ends at 6 p.m. on Friday. Contact Alex Prather for more information.